Born in Dunfermline, Craig started his professional playing career with Cowdenbeath before moving to Hearts for a fee of £40,000 in 1983. As a centre half, he went on to win the Young Player of the Year award in 1985 and 1986, making over 300 appearances for the Edinburgh club. During this time he was also awarded 16 caps for Scotland. 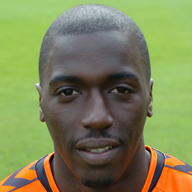 Injuries hampered Craig's career and he was eventually forced into retirement in 1997. He went onto to manage his former club, Cowdenbeath, that same year and in 2000 he became the Hearts manager. He remained there for four years, taking the club into Europe, before leaving for Leicester City. His spell in England was brief and before long he was back in Scotland as the Raith Rovers boss. Following the departure of Craig Brewster from Tannadice in October 2006, Craig was appointed manager of United. Rescuing the club from relegation and taking the club to the 2008 League Cup Final, Craig transformed the club working under chairman Eddie Thompson, to such a degree that he was named as a Director at the club. 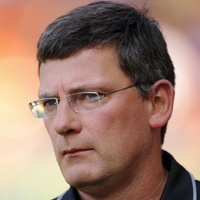 In December of 2009, Levein was tempted away from United to become the Scotland manager.